Peppermint essential oil is extracted from different species of Mentha arvensis perennial herb that grows up to 1 meter. The oils are extracted from the fresh leaves with serrated edges and light purple to pinkish spiked flowers of peppermint plant. This is the main reason that it retains its original essence of the plant. 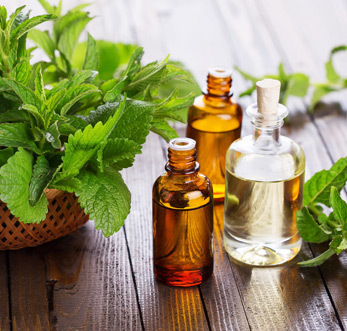 Peppermint essential oil has high menthol content that is widely used as flavoring agent for ice creams, tea, chewing gum, confectionary and toothpaste. In addition to this, the oil is also used as a mental stimulant, is also used for enhancing the digestive and respiratory system. This oil is widely in demand for treating upset stomach, helps in relaxing muscles when applied to the skin and also inhibits bacterial growth.